The futuristic concept of using brain chip implants to merge humans and computers has been the goal of transhumanism and a staple of science fiction fantasy for years. Now that fantasy, touted by several tech billionaires, to create true computer to brain interface may soon be a reality. Amazing advances like this, as with every other revolutionary technology, is a double edged sword and could either benefit mankind or destroy it. The concept was recently popularized by billionaires Brain Johnson and Elon Musk, both forming different ventures to pursue brain and computer interface. Brain Johnson has invested 100 million dollars in a company called Kernal and Musk’s upstart is named NeuraLink ,which hopes to someday manufacture the Neural Lace brain chip. Each company is trying to produce it’s own version of this technology, that could one day allow instant transfer of data directly to the cerebral cortex and back, like text, calls or video. Just like cell phones are used for today, only the device would be implanted in the skull. Humans would have the ability to communicate any data wirelessly just by using brainwaves which are interpreted by an implantable chip in the brain. Some of these applications have already been demonstrated by Defense Advanced Research Projects Agency (DARPA). The paralyzed can control robotic arms or legs and the blind have been able to see again with the use of brain chip implants. Even apes have been made to control each others limbs from thousands of miles away though an internet link. In the future humans could merge with computers or even each other in a hive mind construct, as has been demonstrated by DARPA. 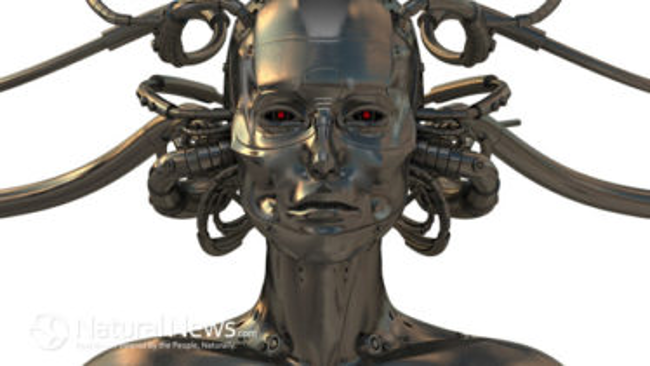 Such technology could make humans on parity with Artificial Intelligence once A.I. becomes so powerful that it tries to destroy us, as Elon Musk has proposed. The Neural Lace is a small mesh microchip injected into the brain to monitor the electrical activity of the cerebral cortex. After a implantation it unfurls over the cerebral cortex to monitor brain activity and send that data wirelessly to an outside computer for analysis. One day humans may be able to have an A.I. layer over the brain to become almost like a supercomputer, say proponents of this technology. Reading the electrical activity of the brain is the demonstrated capability and primary function of the Neural Lace. To examine the capabilities of this technology, that have been already scientifically demonstrated, reference a paper called Syringe Injectable Electronics in the June 2015 Journal Nature Nanotechnology which highlights the current publically known research about this technology. Keep in mind that the military and the Defense Advanced Research Projects Agency (DARPA) have been researching this for years and this concept is one of the results of that effort. The Neural Lace is a flexible nano mesh microchip that the body will not reject, inserted into the brain through the top of the head via syringe and then unfurled on to the cerebral cortex. Using a small hole drilled into the top of the head or delivered through the carotid artery before unfurling. Interestingly enough, targeting the same area of the brain as a lobotomy, the cerebral cortex. Implanting the mesh microchip would almost be the same quick and basic surgery as the lobotomy , just without cutting of the cerebral cortex, if implanted through the skull. The brain chip is neurophilic meaning it tightly integrates to the cerebral cortex and could never be taken out, as the neurons grow around the mesh, actually becoming a part of the brain itself. The microchip has lowered immunoreactivity is due to it’s small size and the materials employed such as piezo electric materials combined with polymers and the device uses wireless communication to send data to an outside computer to interpret brain activity. An unnoticeable micro antenna would protrude through the skull just under the skin, transferring data to a computer for translation of the brain activity and vice versa. Able to transmit data back to the neurons and possibly stimulate the brain for any number of desired effects according to DARPA. In Vivo multiplexed neural recording literally means an “in the living body” recording of the cerebral cortex. This cannot be understated, real time monitoring and possible manipulation of the human brain, an implantable chip able to read thoughts and emotions that one day may be able to control them. The nightmare of every sci-fi fantasy or the possible savior of mankind? Let the imagination go wild and it would probably be pretty close to some of the future dystopic scenarios that could unfold if this type of technology ever became as wide spread as cell phones are today. 1 Comment on Humans to Merge with Machines? The Implantation and Function of Neural Lace Brain Chip Technology.